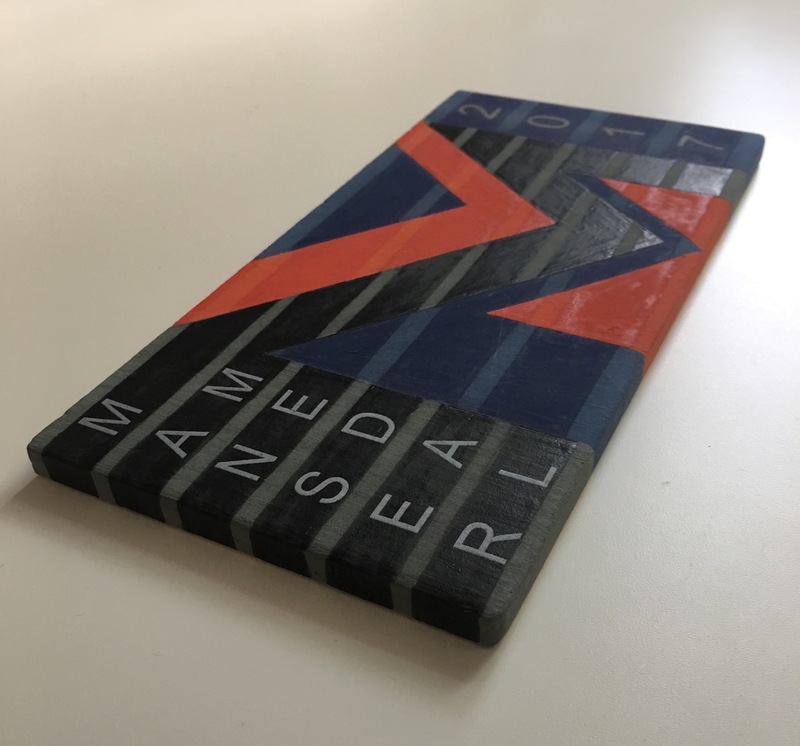 Jonathan Manser, Chair of the Awards Panel requested a ‘brick sized plaque’ using Modernist colours. The simple, and elegant pattern of diagonals are at a slightly different angle on each pot, giving a gentle feeling of movement as you look along the row. The earthy brown underglaze contrasts with the deep blue glaze, melding natural and man-made colours. The inside of the pots are glazed with a beautiful pale dusky green – a secret interior!